Se esta é sua primeira visita, certifique-se de verificar o FAQ clicando no link acima. Para começar a visualizar as mensagess, selecione abaixo o fórum que você quer visitar. Take a break from the snow, wind and bitter cold and join us as we're about to peek through the door to a warmer sight: Easter Event 2019 is awaiting its first testers on the public test server! 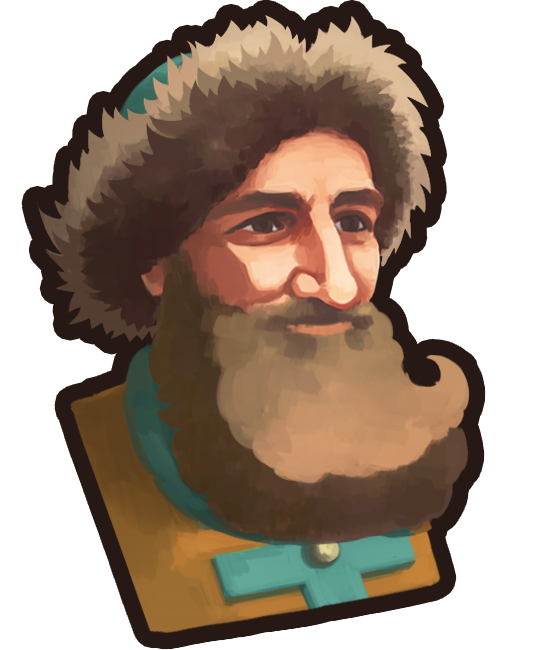 One of the brand new additions to this year's event is a courageous Cossack General named Boris. Hailing from the Lands of the East, Boris excels at defying even the worst of odds in battle, always coming out on top! Want to find out what else we have in store? Join us on > tsotesting.com < and get a first taste of the Easter Event 2019! You are invited to provide feedback here. As with any other Sneak Peek, the content shared on tsotesting.com may not reflect the final status of the event. Once the game version is finalized, a corresponding Dev Diary will be published. Se você precisa de ajuda, entre em contato com o Suporte em Português. Não hesite em entrar em contato comigo também, mas por favor envie sua mensagem em inglês. Sites de fãs do TSO, encontros, apresentações e muito mais! Todos horários são GMT +3. Hora atual: 23:13.